Warm, notably flowery. Heather-honey, fresh oak, sap, peat, smoky fragrance. Very aromatic and appetising. Remarkably smooth, firm, rounded. Lightly salty. Leafy (vine leaves? ), pine nuts. Lots of flavour development: nuts, honey, cinnamon, dryish ginger. Spicy, very dry, oaky, smoky, hot. If I smoked I would have a cigar with this one. 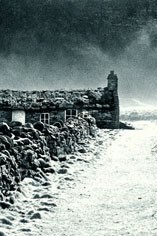 An empty honey jar which once held peaty embers. An enormous nose which seems to improve with each bottle I sample, though the characteristic salted butter is always present. Fabulous. Beautifully sweet: even sweeter than the 12 Years Old with peat on the back of the palate. Beautifully chewy, oily and substantial. Still peaty and now a little oaky. Cocoa and toffee cream compexity. 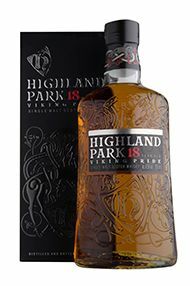 This has to be my favourite Highland Park of them all, and each new bottle I taste (this was my sixth sample) seems to underline the overall class and consistency of this distillery. Brilliant.